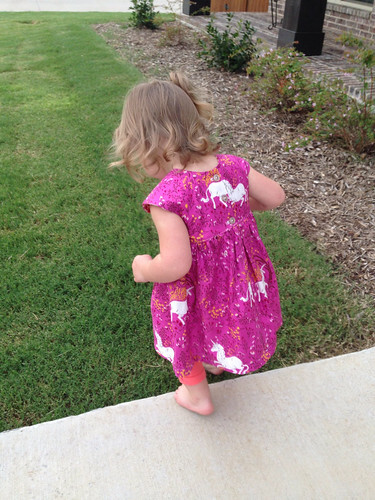 my fabric relish: Texas, 241, and Geranium...oh my! Well, it's been busy around here! We are still settling into the new house. I'm at a stand-still point where I am just not in the mood to decorate or work on the house so I have been sewing a lot! It's been nice. 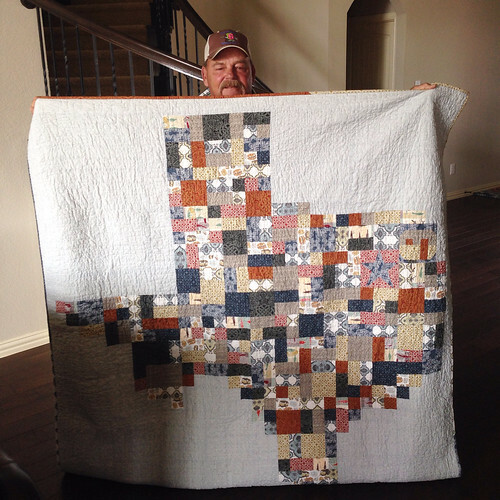 I gave my dad his Texas quilt and he loved it! I even convinced him to even take a picture holding it up! 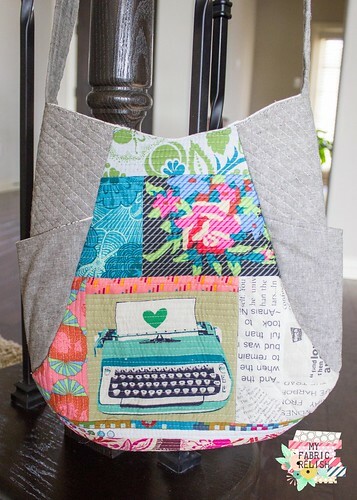 I also made a 241 tote by Noodlehead. It was a blast and will be teaching this QAYG class at Urban Spools this fall. Can't wait!! Terrible lighting but those butterflies are stunning and the background is a beautiful wine/purple shade! I am tempted to buy some more yardage and make me something! 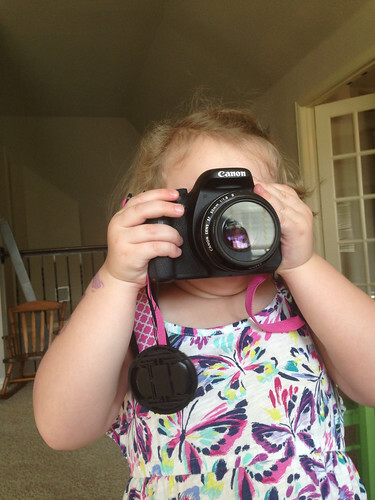 Lastly, I had to share my little photographer! She did not just check the back of the camera! I die!! 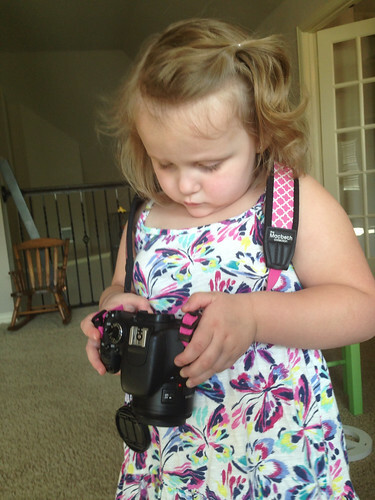 Oh my gosh, your photographer is the cutest :) I think the Winged fabric would make something super gorgeous for you! So many awesome things in the post I don't even know what to comment on. Ummm...I'll pick the dress! It's so so cute! 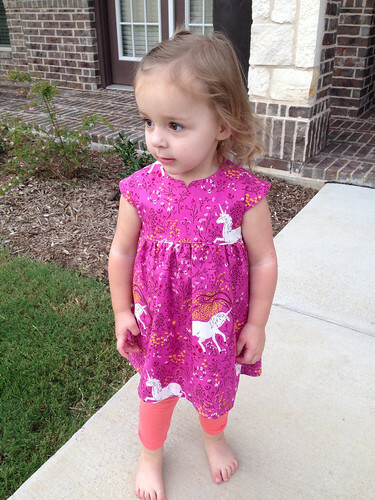 I love the unicorn fabric! I checked it out on the blog and I wonder if it would be hard for a newbie like me. Is there any lining that needs done? Lol. cute photo of your daddy with his quilt - yay! 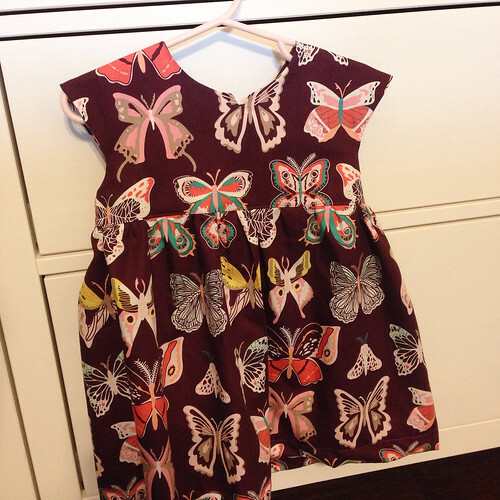 those dresses turned out darling, especially that butterfly one. so pretty! Such cuties, and I love the little dresses. 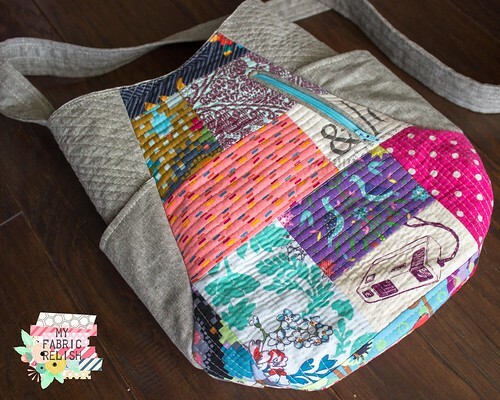 Love the bag too, but Urban Spools is just selling kits. Is there a way to get the pattern only? And oven mitts? Mine are ancient.